Behold Misha’s cousin, Summit. She stayed with us last week. Summit and Misha are two of a kind. They are afraid of strange things. Misha tends to be afraid of things that make noise, like the aluminum foil container when you rip off a sheet. I’m not sure what Summit’s deal is. We brought in a ladder to change the batteries on the fire alarms. The minute the ladder was brought into the house, she ran for cover. 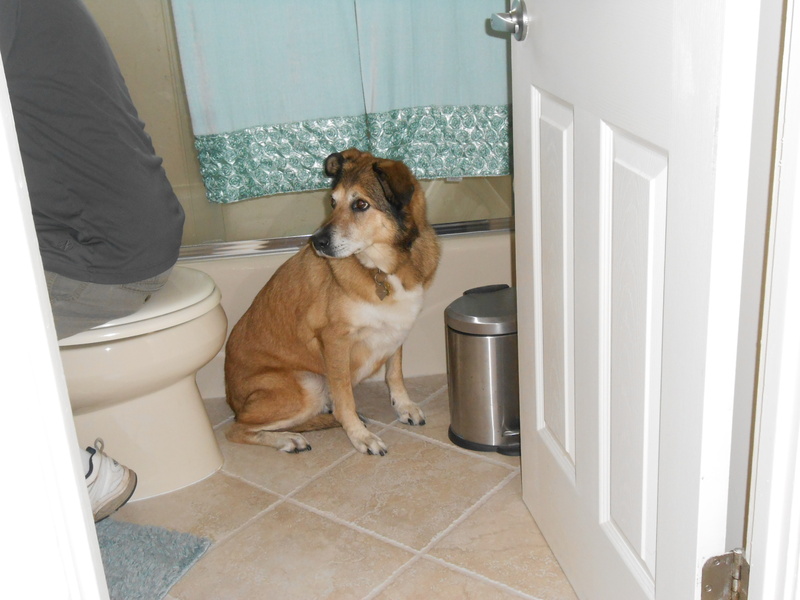 My brother was working on the toilet flapper and Summit squeezed herself between the toilet and the garbage can for protection. She would not come out until the evil two legged monster had been vanquished. And, you wonder why a week of dog sitting tires me out.